Unakite is said to combine the compassionate energies of the pink with the new beginnings / growth and wealth energies of green. Fancy round antiqued copper beads separate sets of Unakite beads to create this gorgeous bracelet. The copper beads support the green and salmon pink tones of these natural stones. 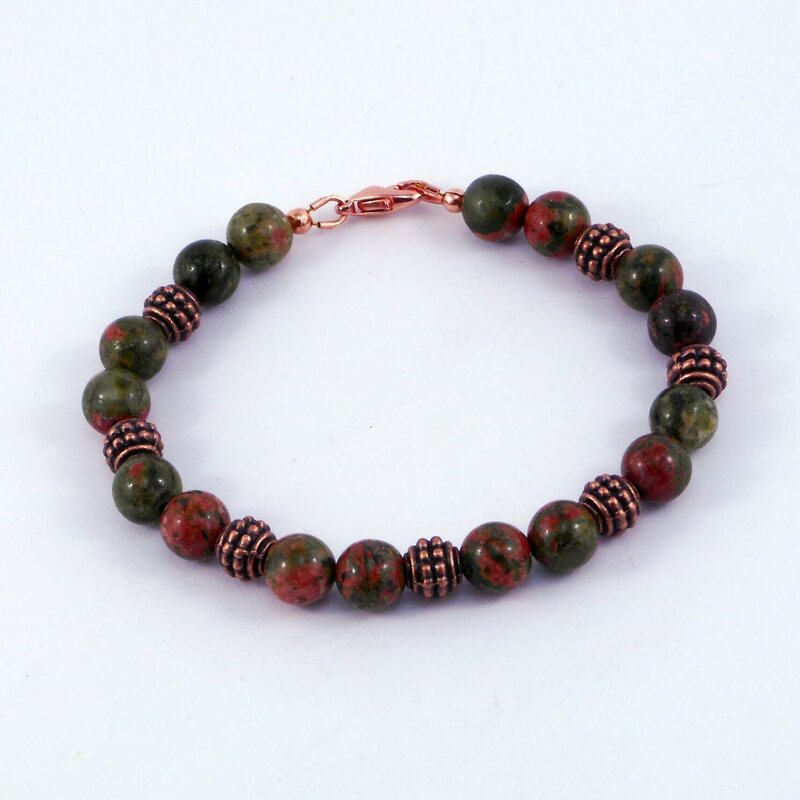 These stones in this Unakite & Copper bracelet are not dyed or otherwise treated. This beautiful bracelet is approx 17cm and finished with a lobster clasp.